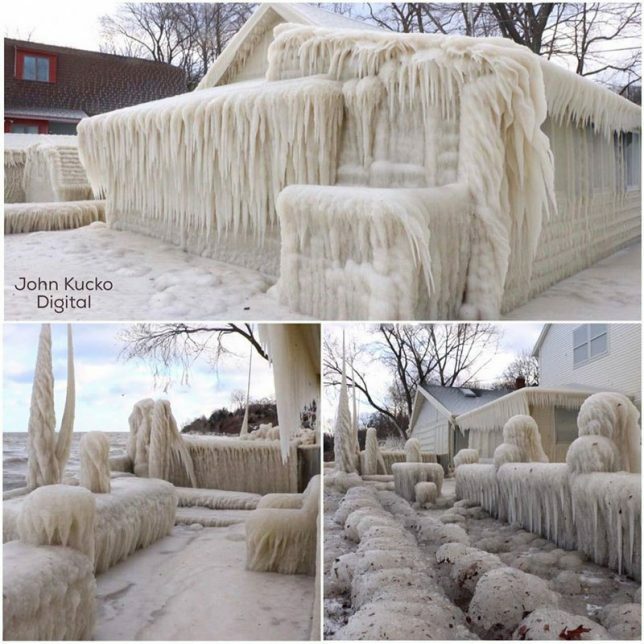 When a cold front blew in over Lake Ontario, photographer John Kucko caught wind of the phenomenon and rushed to shoot images of a remarkably frozen home. 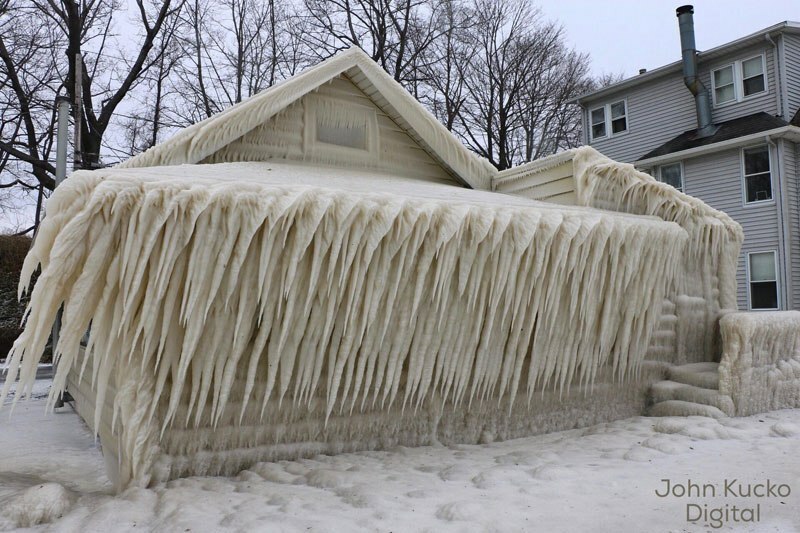 Located in Webster, New York, the house is entirely trapped inside ice, a combination of sheets and icicles wrapping the residence on all sides. 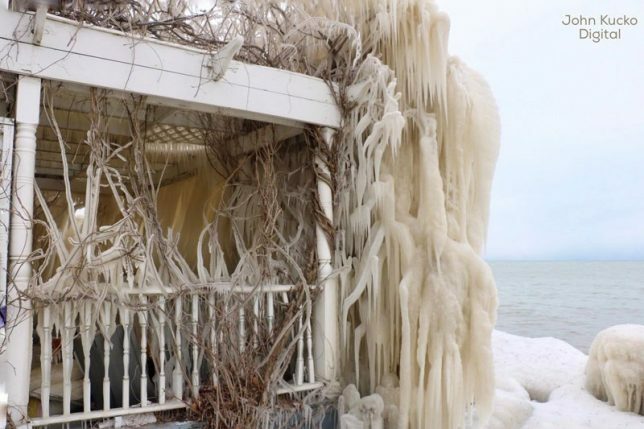 Outdoor furniture and landscaping elements between the lake and the house were likewise wrapped in frozen water. An unusual combination of waves, wind and freezing weather contributed to the mix, as well as the home’s proximity to the lake. Winds over 80 mile per hour pushed water the short twenty feet to the residence. You can see more images and videos on the photographers Facebook page. 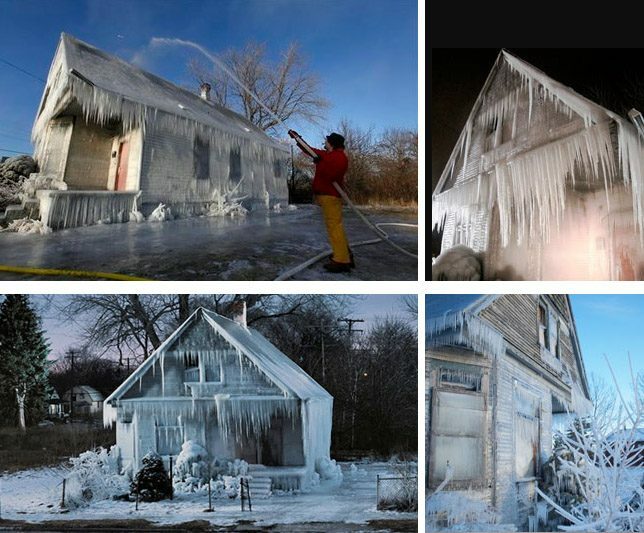 Years ago, artists in Detroit did something similar but intentional with an abandoned home, showering it with water and letting it ice over for effect.